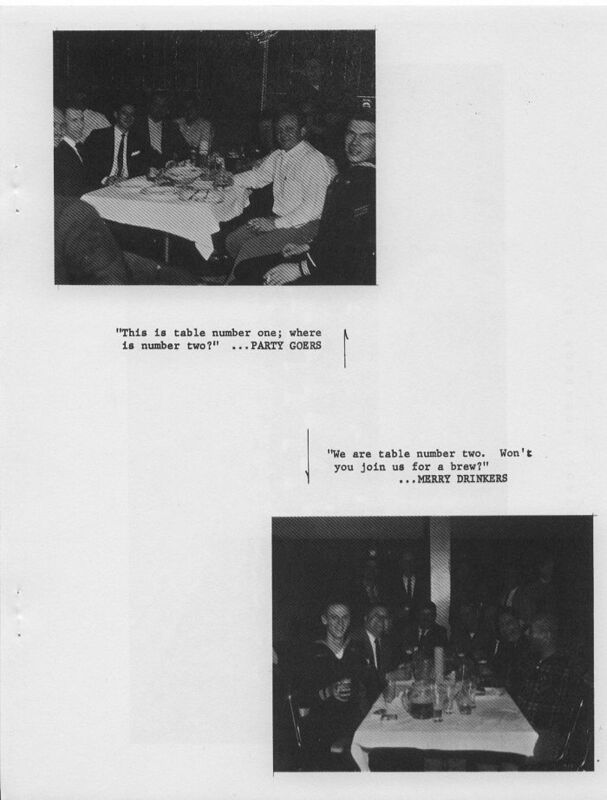 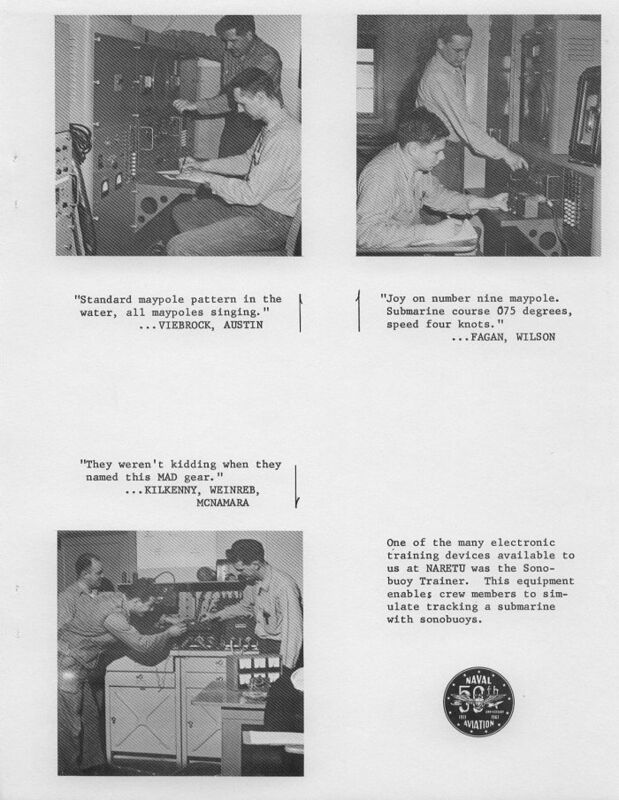 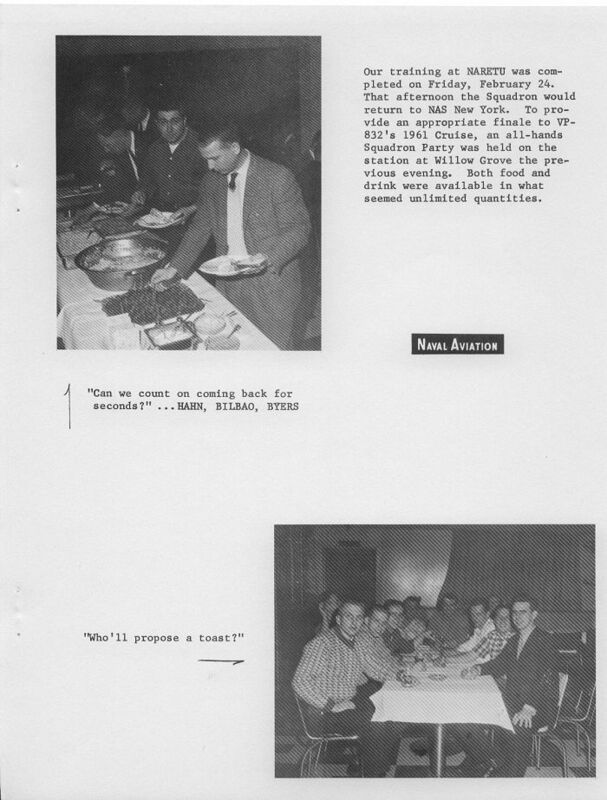 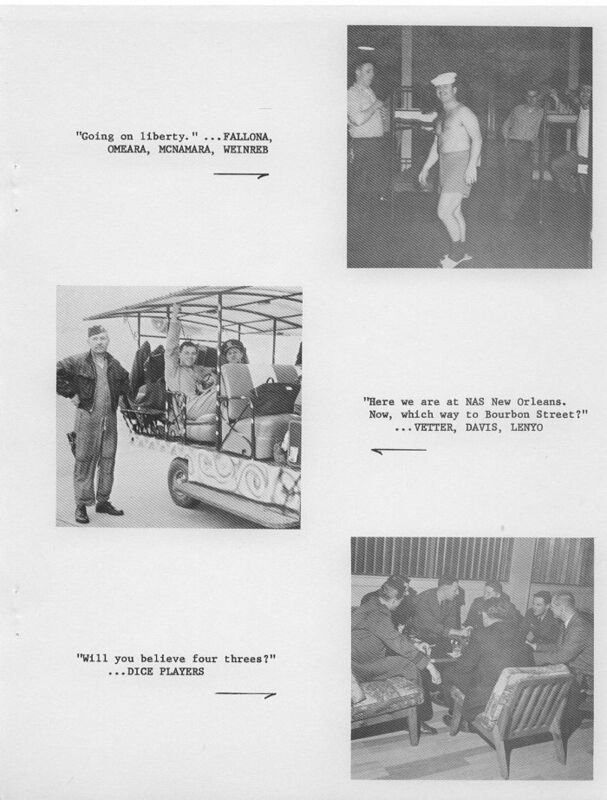 CONTAINED WITHIN THE NEXT FIFTY ODD PAGES WE HAVE ATTEMPTED TO HIGHLIGHT FOR THE MEN OF VP-832 SOME OF THE ACTIVITIES THAT BECAME A VERY REAL PART OF THEIR LIVES DURING THE BERLIN CALLUP OF 1 OCTOBER 1961. 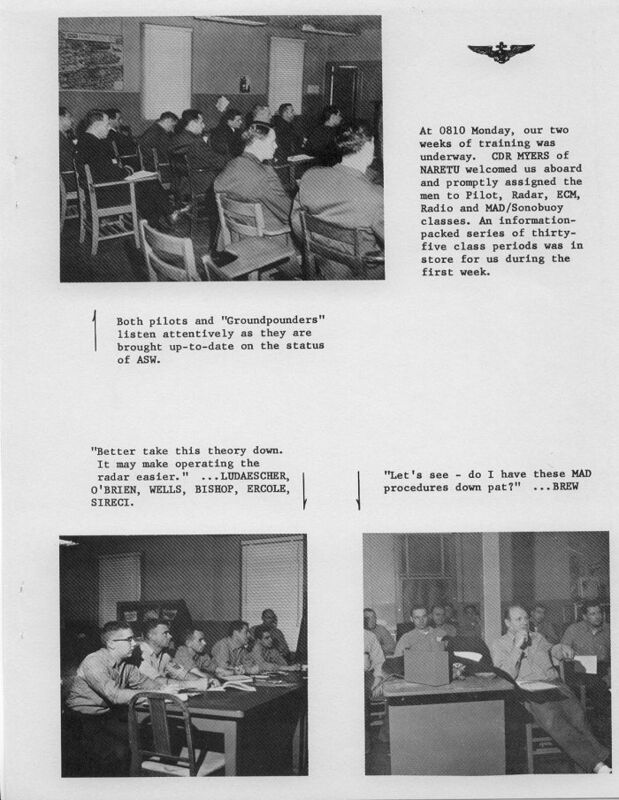 AS MEMBERS OF THE NAVAL AIR RESERVE PROGRAM PRIOR TO THEIR RECALL, THESE MEN WERE CHARGED WITH THE DUTY OF KEEPING THEMSELVES AT A HIGH STATE OF READINESS FOR POSSIBLE MOBILIZATION IF OUR NATIONAL SECURITY CALLED FOR IT. 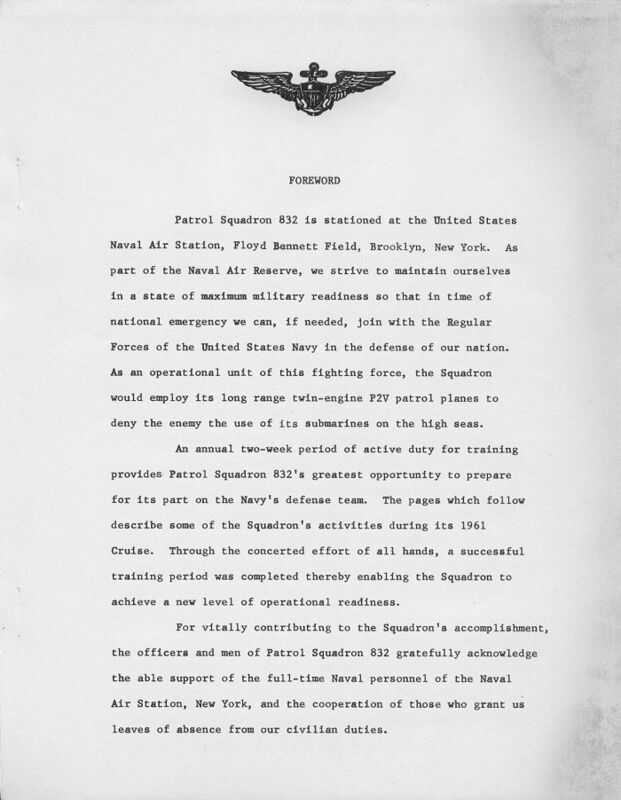 SUCH A SITUATION, THE KOREAN WAR, DEMONSTRATED THE INESTIMABLE VALUE OF THE NAVAL RESERVE TO NATIONAL SECURITY. 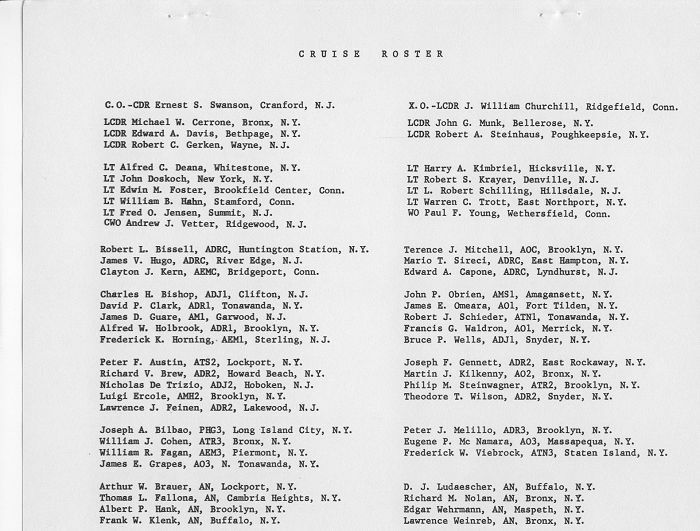 FROM JULY 1950 TO MARCH 1953 OVER 265,000 RESERVISTS ENTERED THE NAVAL SERVICE. 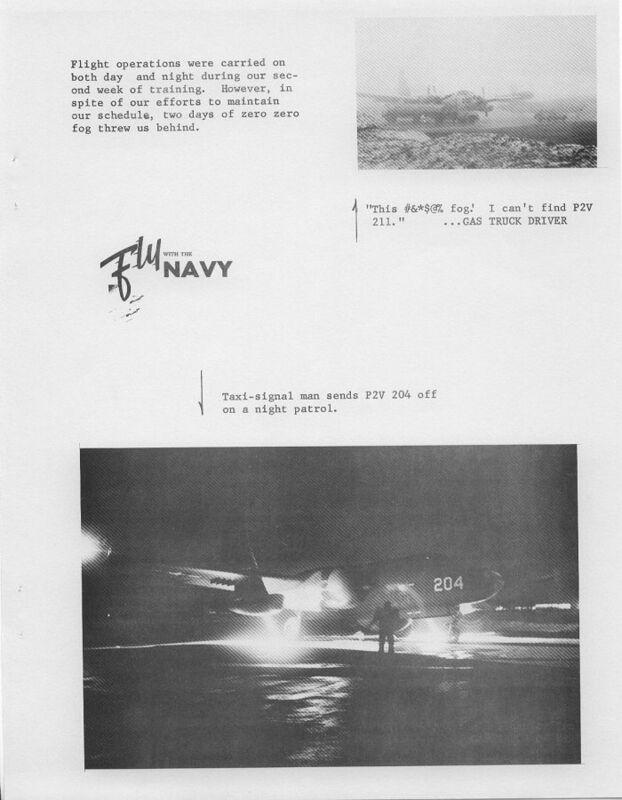 OVER 80% OF THE FLEET INCREASE JN PILOT STRENGTH CAME FROM THE NAVAL AIR RESERVE. 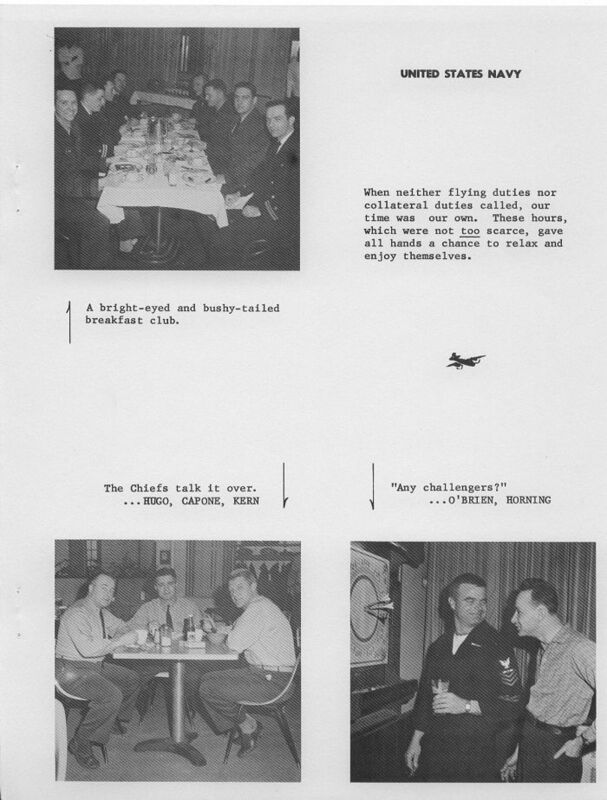 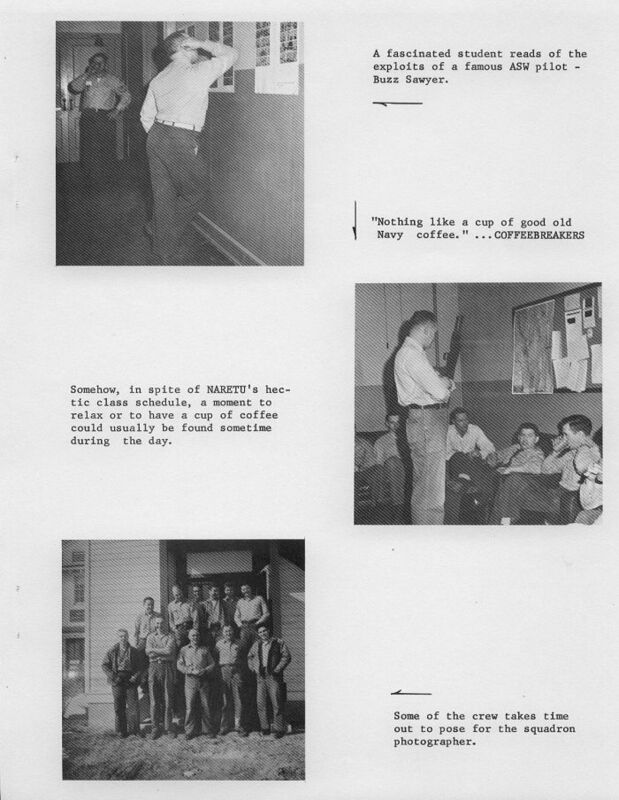 AS FORMER MEMBERS OF THE AIR RESERVE PROGRAM THE MEN OF VP-832, COMPOSED OF 52 OFFICERS AND 270 ENLISTED, COME FROM A WIDE ASSORTMENT OF CIVILIAN OCCUPATIONS; ACCOUNTANTS, ENGINEERS, SALESMEN, POLICEMEN, FIREMEN, TRUCK DRIVERS, OFFICE WORKERS, STUDENTS, MECHANICS AND PILOTS, TO NAME BUT A FEW. 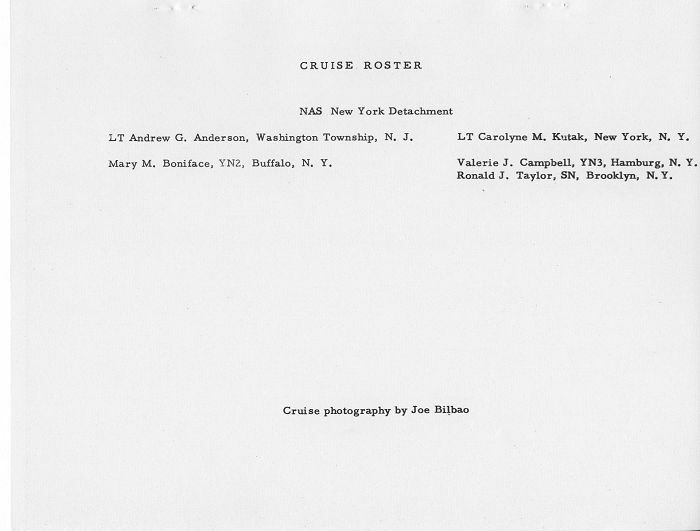 THEY ARE , AS THE CAPTAIN HAS TERMED IN HIS MESSAGE ON THE FOLLOWING PAGE, "CIVILIAN-SAILORS" WHO ARE QUITE ANXIOUS TO RETURN TO THOSE CIVILIAN JOBS SO HASTILY ·VACATED. 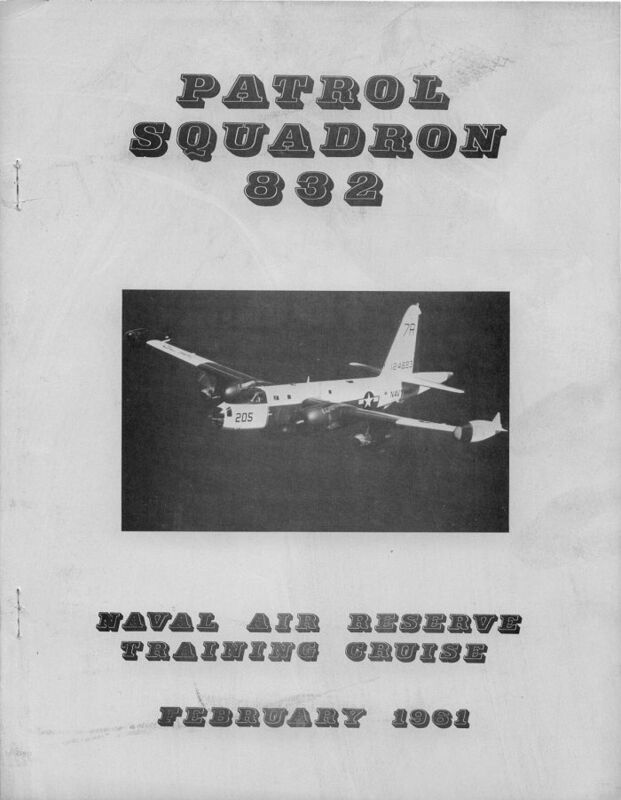 SINCE THIS BOOK IS PREDOMINATELY PICTORIAL IN SCOPE LET US PAUSE FOR A MOMENT AND BRIEFLY OUTLINE FOR YOU, THE READER, THE MAJOR ACTIVITIES OF VP-832 DURING ITS TOUR OF ACTIVE DUTY. 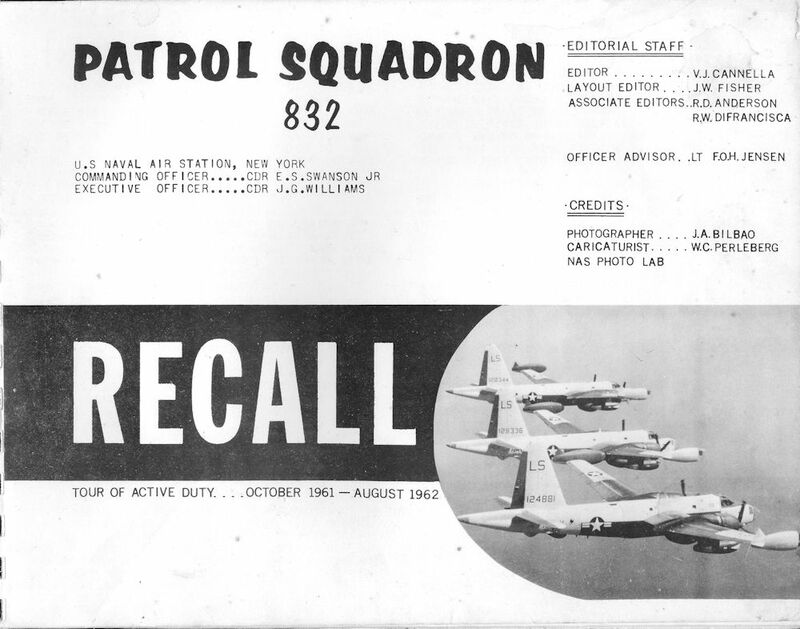 TO BRING THIS NEWLY ACTIVATED SQUADRON UP TO FULL FLEET STRENGTH IT BECAME NECESSARY ON 1 NOVEMBER TO FILL THE SQUADRON'S OPEN BILLETS WITH OFFICERS AND ENLISTED MEN OF VP 834, ALSO OF NAS New York, New York, AND VP-812 OF NAS Minneapolis, Minnesota. 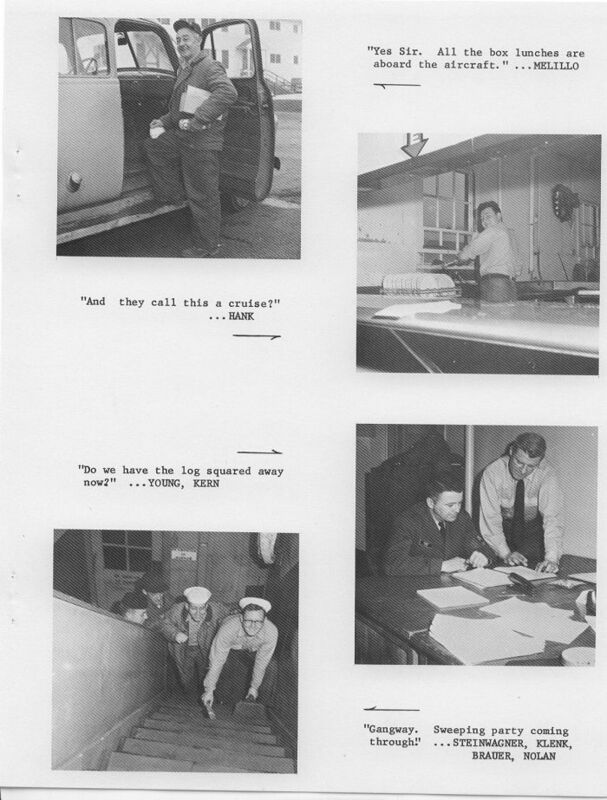 FINALLY AT FULL COMPLEMENT, THE SQUADRON BEGAN THE TASK OF SHAPING ITSELF INTO AN OPERATIONAL FLEET UNIT WITH THE PRIMARY FUNCTION OF DENYING THE ENEMY THE USE OF ITS SUBMARINES ON THE HIGH SEAS. 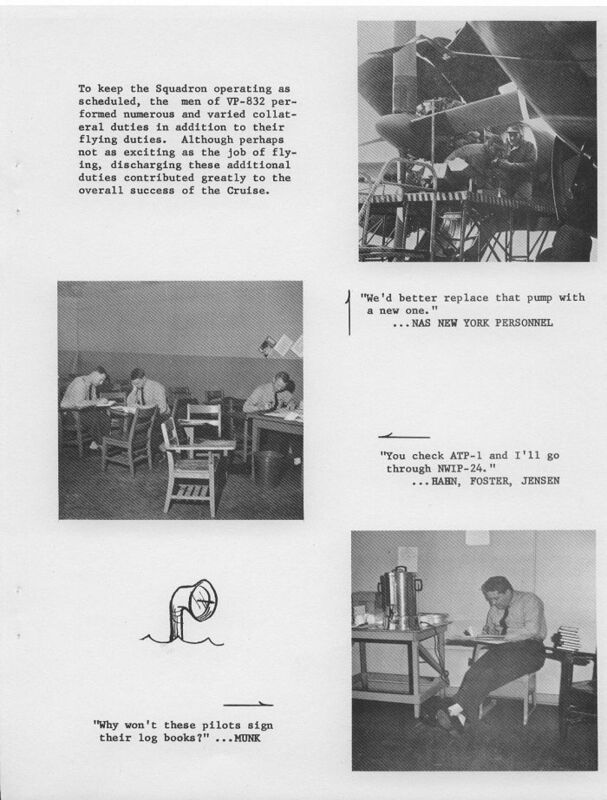 THOSE EARLY MONTHS WERE CRAMMED WITH FLYING AIRCRAFT, ESTABLISHING PROPER OFFICE AND SHOP FACILITIES, AND QUALIFYING PERSONNEL IN VARIOUS FORMAL NAVY COURSES REQUIRED FOR FLEET SQUADRONS. 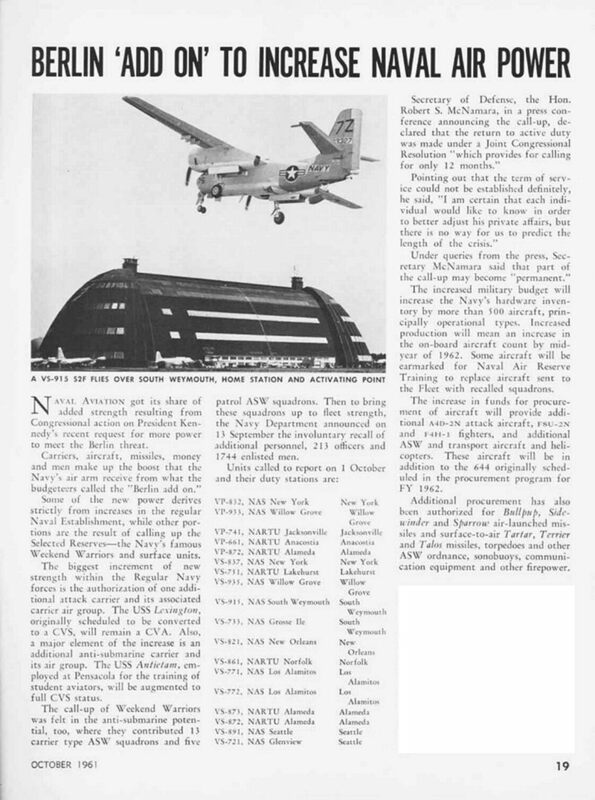 DECEMBER FOUND VP-832 ENGAGED IN ITS FIRST FLEET EXERCISE SINCE BEING RECALLED. 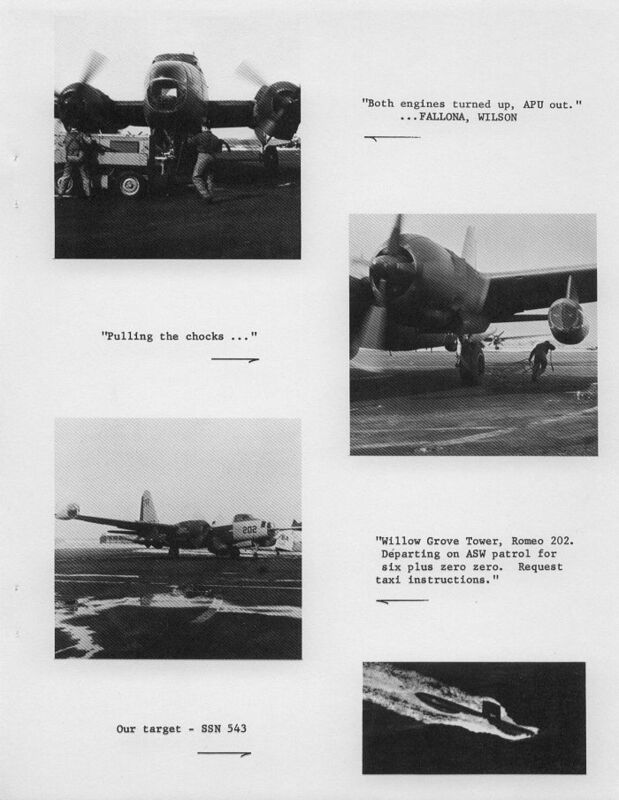 FOUR P2V AIRCRAFT, MANNED BY QUALIFIED AIRCREWS, FLEW SEVENTEEN ANTI-SUBMARINE PATROLS DURING THIS TEN DAY CANUS SLAMEX EXERCISE. 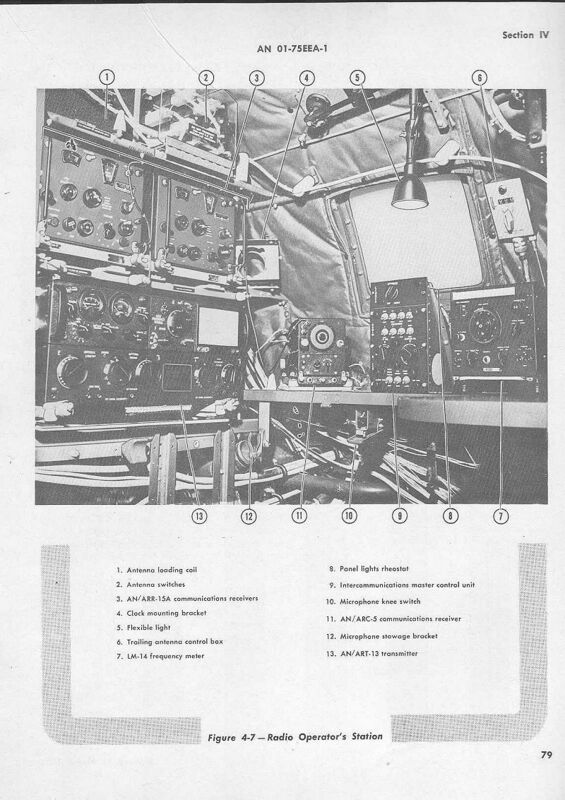 A MODIFIED OPERATIONAL READINESS INSPECTION OF THE SQUADRON CONDUCTED IN JANUARY 62 BY THE UNIT'S IMMEDI ATE COMMANDER, FAW-3, REVEALED MANY WEAKNESSES IN THE UNIT'S OPERATIONAL AND MATERIAL READINESS, BUT THE OVERALL LEVEL OF PERFORMANCE WAS CONSIDERED SATISFACTORY. 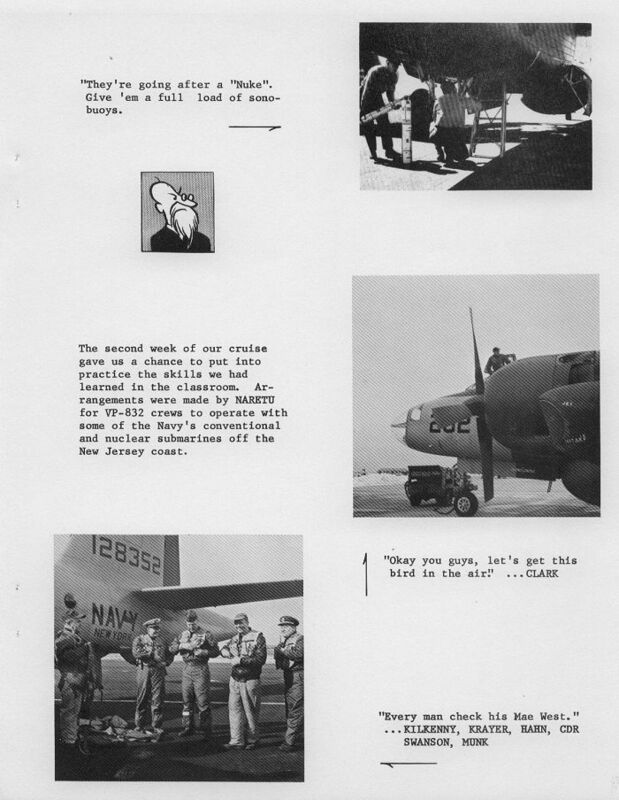 FOLLOWING A BRIEF FLEET EXERCISE IN LATE JANUARY, THE MEN OF VP-832 EMBARKED ON ITS FIRST DEPLOYMENT TO NAS Jacksonville, Florida TO FURTHER THEIR TRAINING IN THE AREAS OF ORDNANCE, MAINTENANCE, AND FLIGHT PHYSIOLOGY. 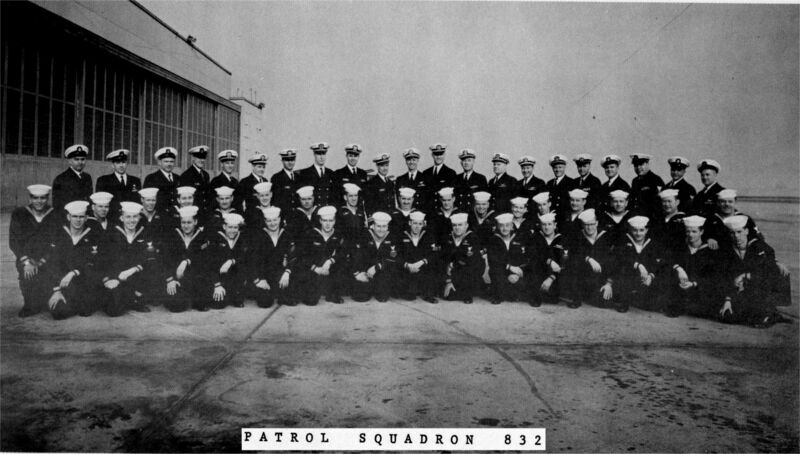 LESS THAN TWO WEEKS AFTER RETURNING FROM NAS Jacksonville, Florida THE SQUADRON WAS AGAIN DETACHED WITH SEVEN AIRCRAFT, TOGETHER WITH GROUND SUPPORT PERSONNEL, TO NAS Guantanamo Bay, Cuba. 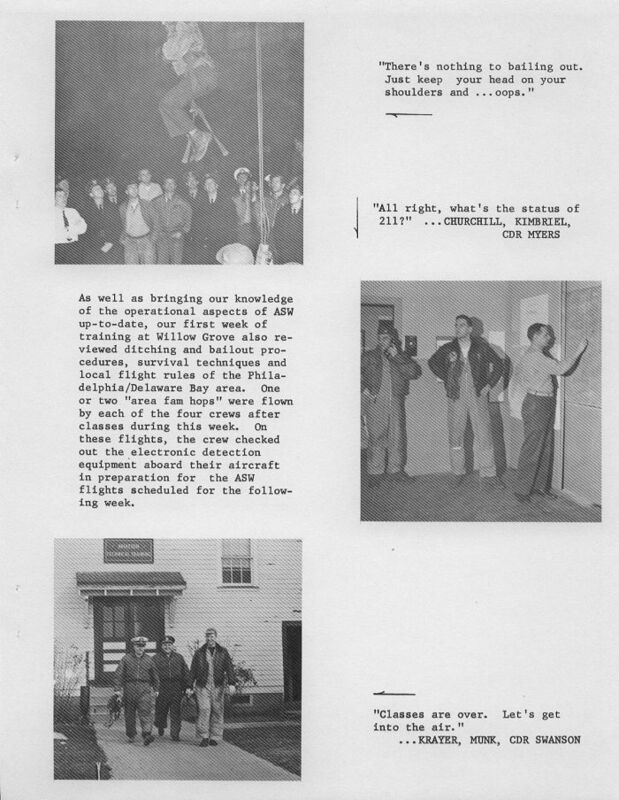 CONDUCTING LONG RANGE SURVEILLANCE PATROLS FROM 28 MARCH TO 24 APRIL 1962, THE CREWS OF VP-832 FLEW FOR THE MONTH OF APRIL A TOTAL OF 1,016 HOURS -THEIR HIGHEST ACCUMULATION OF FLIGHT HOURS. 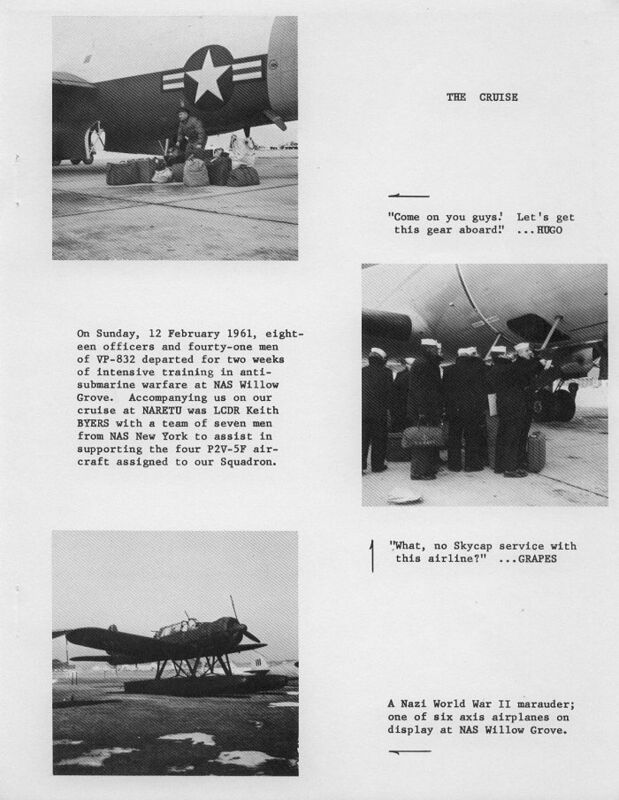 AS OF 31 MARCH 62, THE COMBAT READINESS OF THE SQUADRON HAD INCREASED 22.1% OVER THE PREVIOUS RATING, WITH AN INC REASE OF 52.4% IN MAINTENANCE READINESS AND 12.7% IN CREW READINESS. 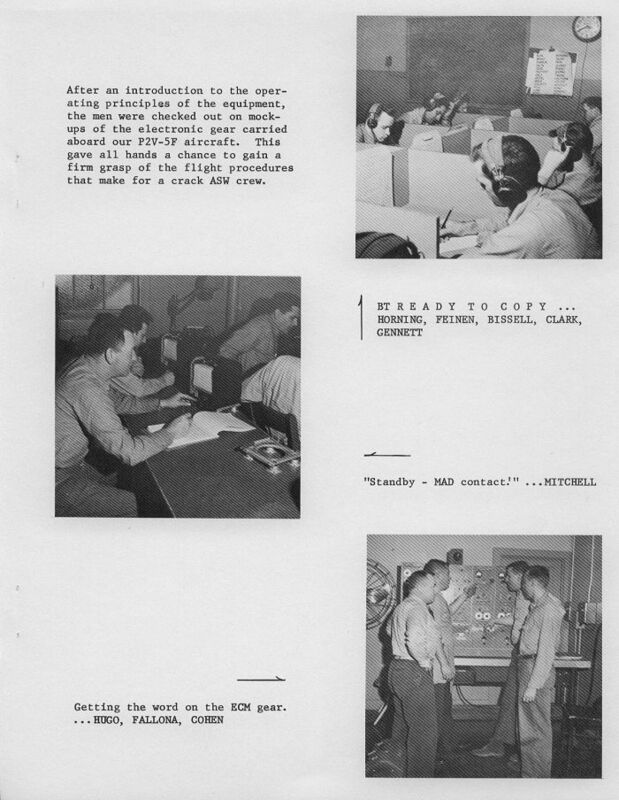 CONCERNING THE FUTURE, THE TRAINING RECEIVED DURING THIS TOUR OF DUTY WILL STRENGTHEN THAT MUCH MORE THE NAVAL AIR RESERVE AND THUS OUR NATION'S ABILITY TO MEET THE ENEMY. 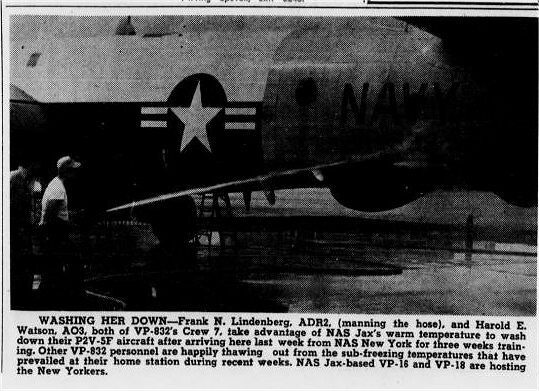 FOR THE MEN OF VP-832, VP-834 AND VP-812 IT'S BACK TO CIVILIAN LIFE AND THE NAVY WEEKEND WARRIOR PROGRAM.